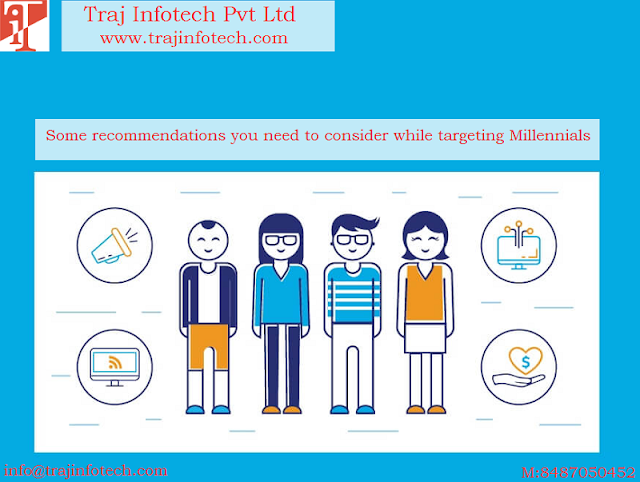 Traj Infotech: We can see a growing demand for Online Marketing. We can see a growing demand for Online Marketing. Online marketing plays an important role in customer’s decision making. With a rise in number of customers, who use social media and internet on smart phone to research on the product, price and quality before taking the final call, whether to purchase or not. Through online marketing, a company can build a good relationship with their current and prospective customers, with a personalized, usual and economical communication. With the help of online marketing, you can keep your business open for twenty four hours, without any worries of store timings or about paying staff overtime. Internet has made it convenient to sell your products. Customers can browse your store online, at a time that is convenient for them and also place order whenever they want too. Through online marketing you can reach out to a wide range of customers, irrespective of the distance. Without a store, you can still sell your products anywhere around the world, it helps to widen your target market. Selling your products nationally and internationally has become straightforward and quick. Online marketing is much more economical than marketing through a retail store or outlet. Having an online store means no store rentals or maintenance or need to buy stock for displaying it in the store. Whenever there is a demand, you can buy your stock, this will make sure that your inventory cost is a smaller amount. Through online marketing, you can build a history of all their purchases and a list of their preferences. This will help in understanding the customers’ likes and dislikes. You can accordingly, come up with offers on the basis of their personal preference. Online marketing gives a platform to build a relationship with your customers. After the customer purchases the product online from your website, to begin and retain a relationship with your customers, you need to send follow up emails to give a confirmation about the purchases and also to mention thank you to the customers. Mailing personalized and special offers will help in maintaining a relationship. There is growing significance of social media and also a link between online revenue growth and social media. Social media is ideal for your online marketing campaign.